NIA CHARLESTOWN NEVIS (March 16, 2017) — Service at the Outpatient Department at the Alexandra Hospital will be enhanced, thanks to the donation of a haemoglobin analyser and a white blood cell analyser, from the membership of the Seventh Day Adventist Church (SDA) in Charlestown. 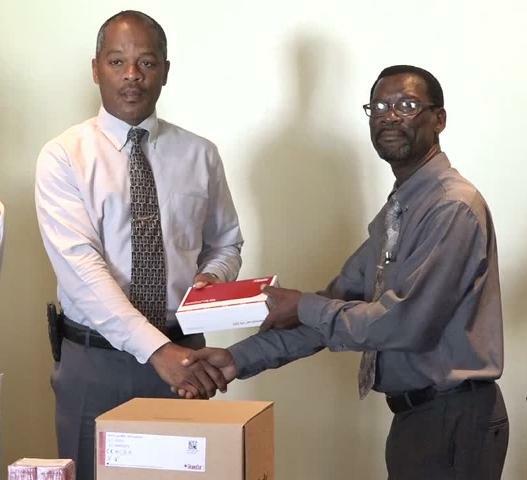 Mr. Stanton Adams, Seventh Day Church Senior Pastor and Island Coordinator presented the equipment to Hospital Administrator Gary Pemberton, at the hospital on March 15, 2017. He said the gesture is part of the church’s outreach programme “Helping Humanity”, a mandate of the world faith-based organisation, part of whose teachings and philosophy is based on wellness and health. 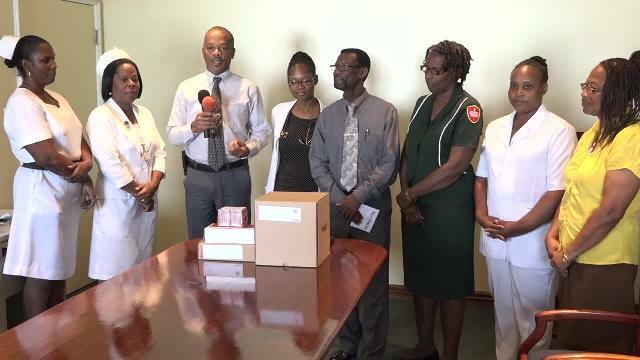 He expressed hope that the gift would beneficial to the hospital’s staff as they dispense health care to the community. In response, Pemberton thanked the church membership for the timely and significant contribution to the hospital. He said the equipment would help to increase efficiency at the Outpatient Department. “We are already doing blood glucose testing at the Outpatient Department. 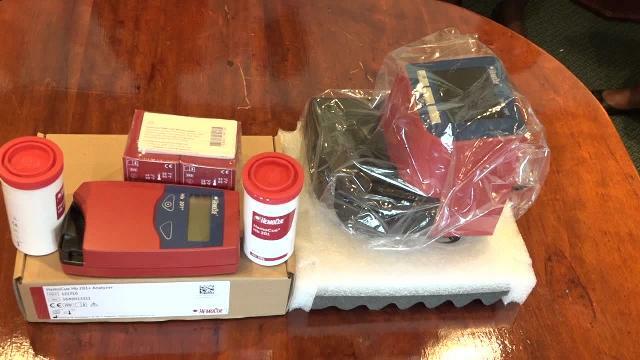 That can be done instantly and with the addition of the white blood cell analyser, this will also be able to be done…so the patients can get the results instantly. “It will make us more efficient and we can better manage our cases at the department,” he said. Also present at the handing over were Nurse Manager Joya Parry-Lake, Matron Aldris Dias, Dr. Florelle Hobson and Charlestown Seventh Day representatives – Community Services Leader Sylvia Parry, Health and Temperance Director Robeana Wilkinson and Treasurer Varina Williams.